What better place to learn to dive than along the biggest reef on the planet? Stretching for over 1,400 miles, Australia’s Great Barrier Reef has plenty of opportunities for beginners, second timers and pros to get underwater. It really is one of the best places to snorkel for the first time, or even learn how to scuba dive. 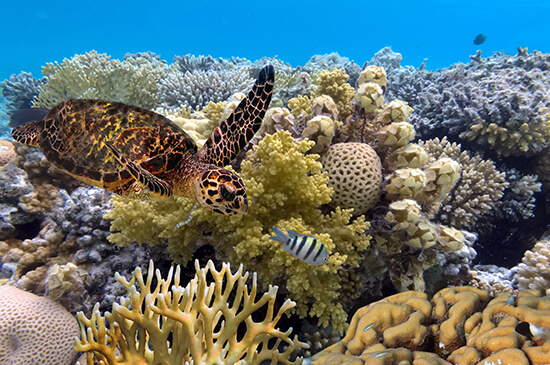 The sensation is unusual at first, but you’ll soon find yourself distracted by turtles, giant Maori wrasse and a vibrant collection of corals – over 600 types can be found here. DO IT NOW! Take our Great Barrier Reef in Depth Journey and your itinerary will give you the chance to snorkel or dive at introductory or PADI level. If you want to partake in a PADI Open Water Diver course to become qualified, speak to one of our Travel Experts about creating a tailor-made version of this incredible holiday. Cuban salsa or ‘casino’ is the best variation of this fiery dance – perhaps because it’s not all about fancy footwork, but feeling the rhythm of the music and the movements. And with the energy and lively personality of Havana and its many dance clubs, it’s so easy to salsa the night away with the locals. DO IT NOW! Make an appointment with one of our Travel Experts to build your incredible holiday to Cuba. They can include some beach time, a few days in eclectic Havana, and a salsa lesson or two. It’s no secret: Thai food is pretty darn delicious. But like anything, it tastes even more delicious, and even more satisfying, when you can whip it up yourself. Enter: Thai cooking schools. You’ll visit a local market and pick your ingredients, learning all about them and the part they play in various dishes as you go. Next, you’ll go back to the kitchen to prepare and cook them, creating several dishes to try. Best of all, these half-day classes usually end with you eating everything you’ve made. YUM. DO IT NOW! 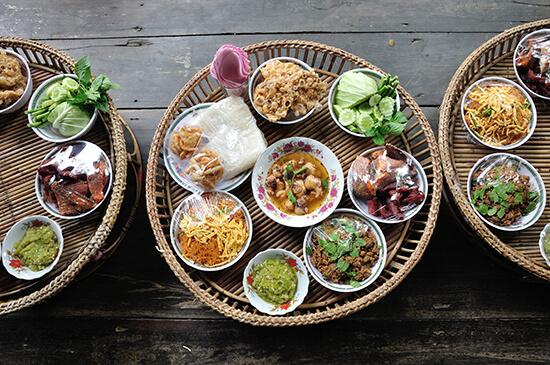 Learn how to cook authentic Thai cuisine at a cookery class in Chiang Mai on our Temples, Palaces & Villages Journey – a 16-day trip from £1,999pp. Home to estancias (a rural, ranch-style property) aplenty, there are few better places to get in the saddle than Argentina. 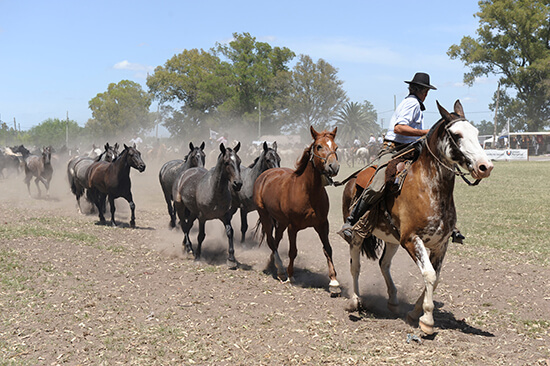 Not only will you get to grips with horse riding, but you’ll also get to explore the country’s diverse landscapes the authentic way – guided by the local gauchos and their families who run the estancias. You can even have a go at playing polo when you’re feeling more confident on horseback. DO IT NOW! Chat to our Travel Experts about our range of South America holidays and they can tailor make your Argentinian estancia experience. How many hot dogs can you eat in a minute? 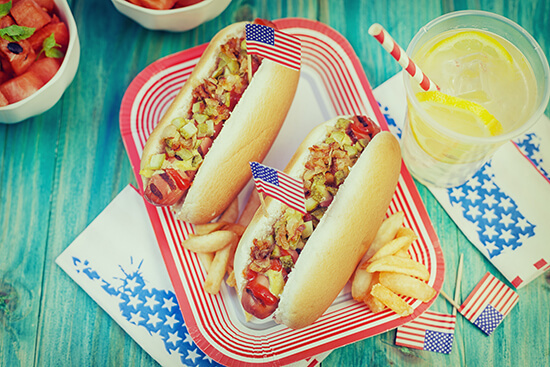 ‘Do you want fries with that?’ There’s a reason shows like Man V. Food are so big Stateside – food here is plentiful and typically supersized. If there were anywhere you could learn how to eat a hot dog in seconds, or consume 180 oysters in one sitting (we kid you not; this is a real challenge in New Orleans at the Acme Oyster House), the USA would be the place. But it’s not all huge portions – some of the food here is the best in the world and across the country you can find a hodgepodge of cuisines to try. So while you can learn how to stuff an immense amount of food in your face, you can also learn about a rich variety of fancy dishes while you’re at it. DO IT NOW! Get gastronomic in the Golden State on our Tastes of California itinerary – where you’ll take the Napa Valley wine train, embark on a dinner-dance cruise in San Francisco and taste fresh seafood in Santa Barbara. You can learn how to take a good photograph in any destination, but if it’s dramatic, mountain-carved or glacier-punctuated landscapes you’re looking for, New Zealand is perfect. Just take a look at these if you don’t believe me. And best of all, it’s got so many diverse scenes, so there are dozens of opportunities to be snap-happy and get your ISO, shutter speed and aperture just right. Make sure your battery is fully charged every night. DO IT NOW! Capture the best of the Land of the Long White Cloud on camera with our Essential New Zealand Journey – you’ll visit Queenstown, Christchurch, Rotorua, the Bay of Islands and Auckland.